Left turns are notoriously hated by drivers, and for good reason. According to a 2007 report from the National Highway Traffic Safety Administration [PDF], nearly a third of all crashes at intersections with traffic lights involved cars turning left. Waiting for the opportunity to turn is also time-consuming (just ask any UPS driver). 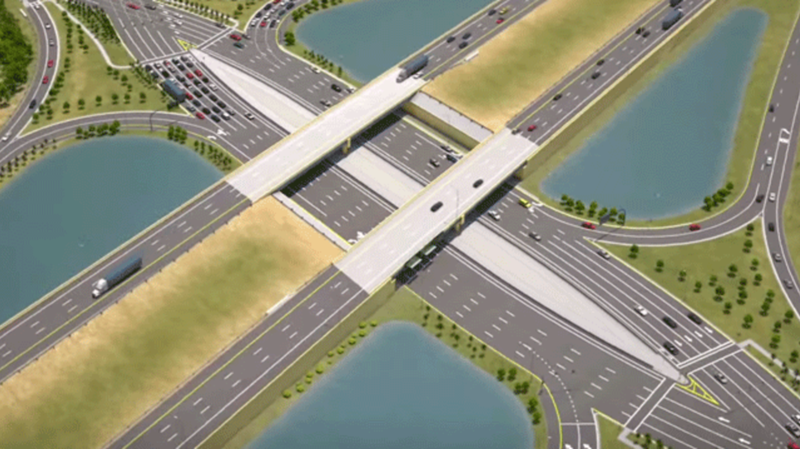 But as WIRED reports, some highway architects have figured out a way to do without them. The biggest difference with the design is that drivers turning left no longer have to pull out in front of oncoming traffic to do so. They can easily turn onto the diverging left lane when driving on the opposite side of the road. The concept gained popularity in the U.S. after a grad student named Gilbert Chlewicki wrote a term paper detailing it. Even after discovering that the French had been using his idea since the 1970s, he continued to promote it here in the States. Today there are 62 DDIs in 22 states, and their effectiveness indicates that they're here to stay. Last year, researchers found that diverging diamonds cut accidents by 33 percent and fatal accidents on terminal ramps by more than 60 percent. The drivers who use it were also found to rarely make mistakes. According to a survey conducted at America's first DDI in Springfield, Missouri, 97 percent of drivers said they felt safer on it. More of these intersections are being planned for highways across the country.